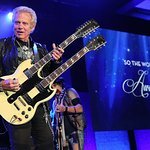 Former Eagles guitarist Don Felder will treat fans to an Evening at the Hotel California for charity in Minneapolis this Saturday, July 24. The concert, which will also feature Patty Peterson and moZiak, will benefit the CAP Agency of Scott, Carver and Dakota Counties. The CAP Agency was established in 1965 as a part of the war on poverty. The Agency’s programs and services are based on a self-help concept with a focus on case management. Last year, services – such as Meals on Wheels, education and childcare, housing and community support – provided in Scott, Carver and Dakota counties reached over 40,000 people. The concert takes place at The Epic Event Center, 110N. Fifth Street, Minneapolis, with tickets starting at $20. 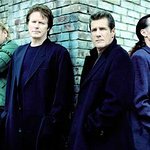 The evening will feature an auction with prizes such as a guitar signed by Don Felder, and the opportunity to play tambourine in his band.